Stylish and upmarket looks. Good quality feel to the interior. Seven-year warranty as standard. Very low CO2 for an SUV. Well equipped. Ride could be better. A little noisy at speed. Warranty is limited to 100,000 miles so the similar Hyundai ix35 may be better for higher mileage drivers. 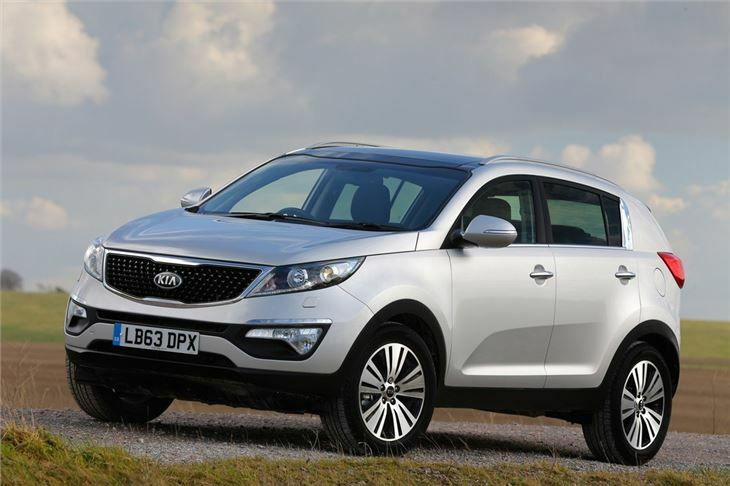 Outstanding tyre mileage of 45,000 reported from Hankook 225/60 R17 99H tyres on 2012 KIA Sportage II petrol automatic. Tyres likely to last another 5,000 miles. 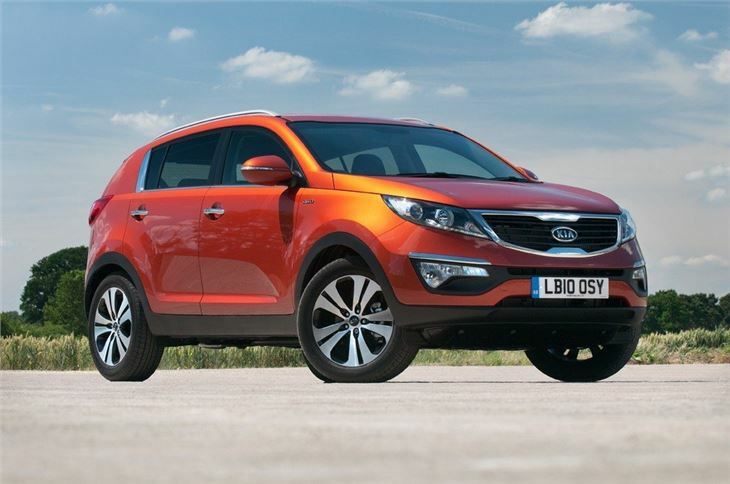 2010 meant all change for the Kia Sportage. The rugged small 4x4 styling is out and in comes a sharp, modern look that's far more in keeping with the Ford Kuga, Nissan Qashqai and Hyundai ix35. 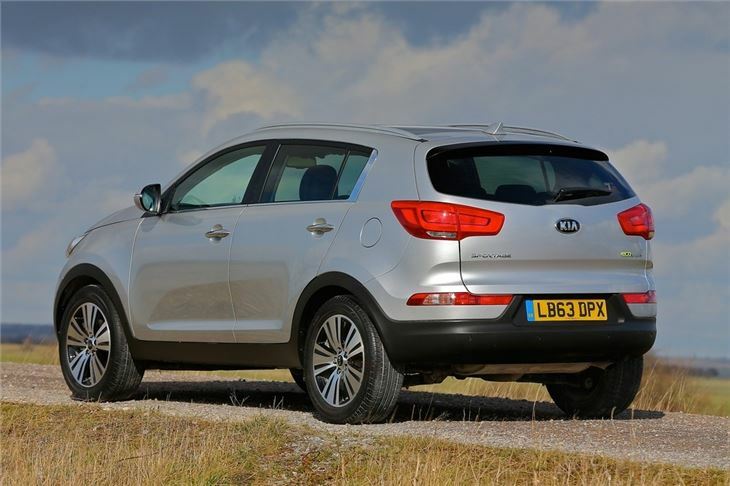 The last comparison is an important one, as, underneath, the ix35 and Sportage are essentially the same car and are built at the same factory in Slovakia. There's a lot going for the new Sportage. Firstly, the engines are a massive improvement over what was previously available and are now among the cleanest you can buy in this type of vehicle. CO2 in the 2.0-litre diesel has come down by a whopping 31g/km to 156g/km and it now accelerates faster, too. The 1.7-litre diesel is even better, with an impressive CO2 figure of 134g/km, bringing road tax costs down. There's also the option of a 1.6-litre petrol with sensible running costs. Both the 1.6-litre and 1.7-litre engines are chain-cam. 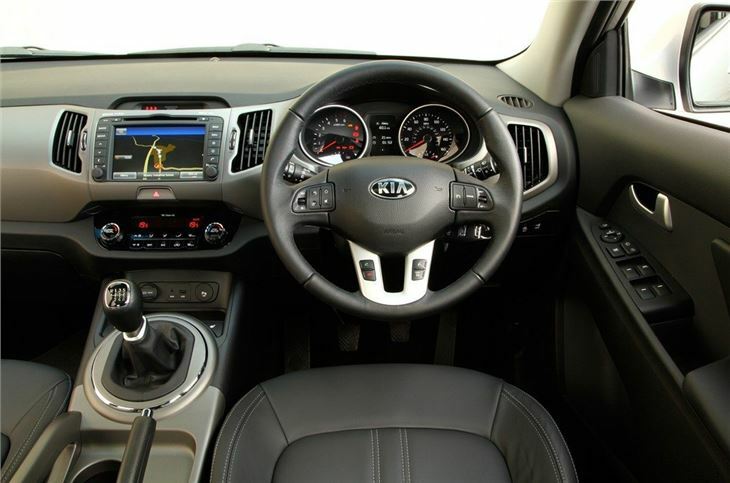 The Sportage does a good enough job out on the road, too with decent steering and a well controlled body. Only the ride - which can be unsettled at times - lets it down. Inside, it looks smart and is functional to use. 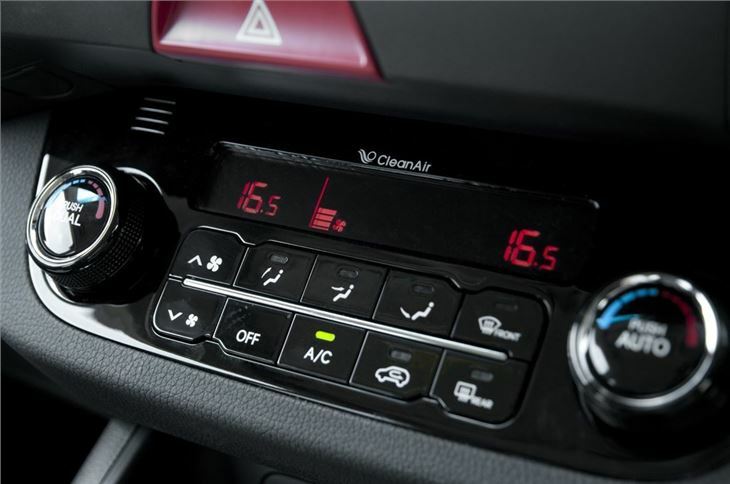 The materials that have been chosen for the dash and console are good quality and not far from what you'd expect to find in a Volkswagen or Ford. 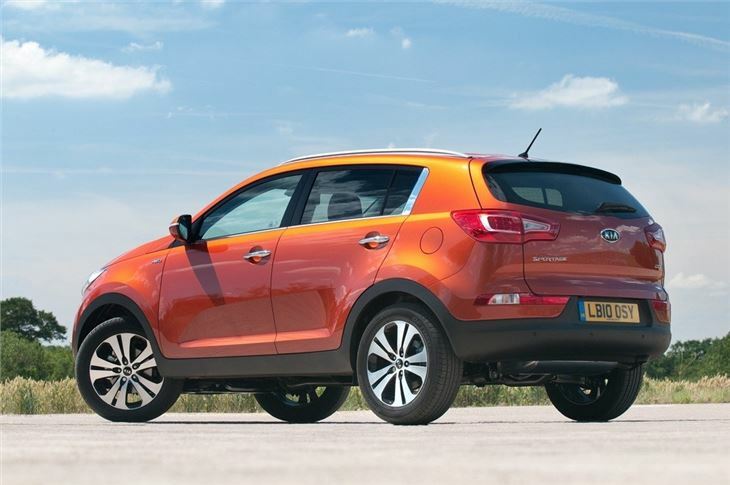 As you'd expect from Kia, the Sportage delivers when it comes to value for money. It's comprehensively equipped, appears well screwed together and has one of the best warranties on the market (seven years/100,000 miles). 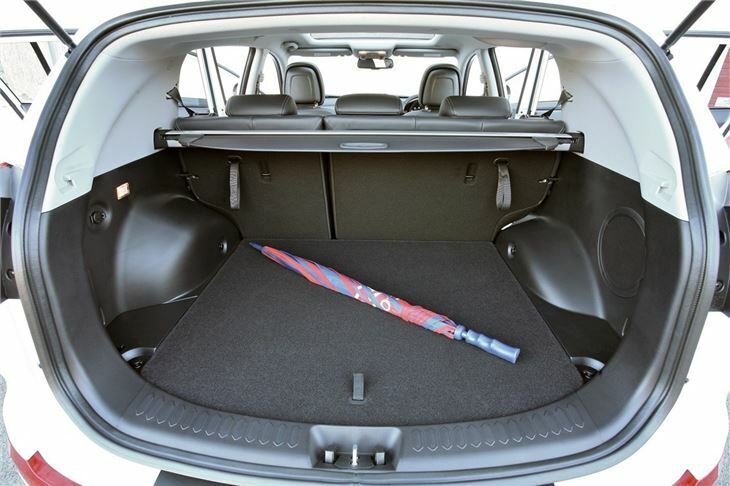 It's an attractive option for any family looking for a roomy, economical and well equipped car. Comfortable, well made with reasonable handling, but slightly lacking in power. Fantastic car,comfortable,great looks,quiet and economical. Excellent road holding - feels VERY safe! The 7 year transferable guarantee and the looks are enough to sell this car. The worst car I have ever owned! !